Excuuuuuuse my absence! I have no excuse myself except that life got in the way of things – summer is always so busy! Flokie and I are back in the swing of things though and ready to get to work on some recipes. I’m finishing up school in holistic nutrition, so will probably be doing some more posts on health and wellness, natural household products & cleaners and natural body care products. Is there anything you would like to learn about or learn how to make? Diet question? Health questions? Just let me know in the comments! I’ve been making soups and chili in batches for the freezer because it’s so nice to something quick and ready to go for lunch at work. 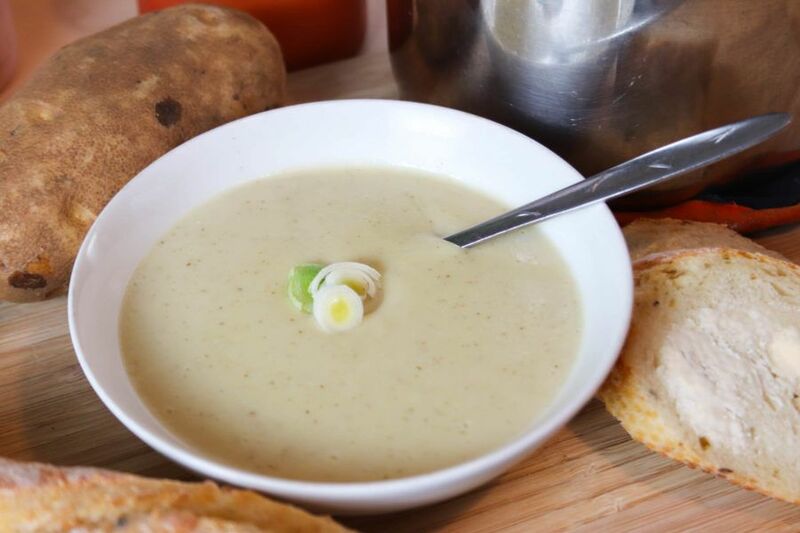 This simple potato-leek blender soup is adapted from a recipe my auntie gave me last week. She gave me a whole pile of leeks from her garden! The recipe was just written on a recipe card so I don’t have a exact source but I’ve adapted it to be dairy-free and vegetarian. It literally could not be more simple to make and it’s warm, comforting and satisfying. 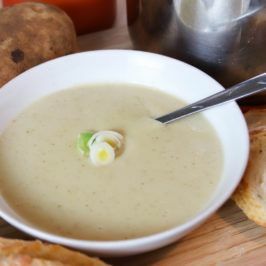 I also tend to use the peels of vegetables because as long as you wash them really well (and don’t mind some flecks of colour in your blended soup) there are a lot of nutrients in the peels of potatoes, carrots, etc. 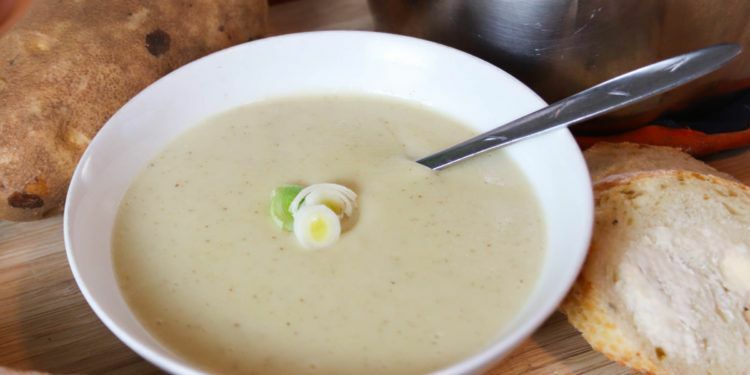 A very easy blender recipe for potato-leek soup, dairy-free and vegan. Heat the oil over medium heat in a saucepan. Add the leeks and onion and saute until tender. Add the potatoes, water, vegetable stock and salt. Cover. 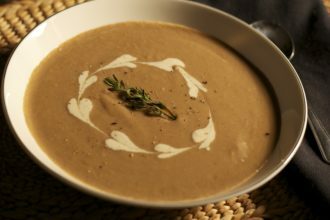 Carefully move soup to a blender and process until smooth. Stir in hot non-dairy milk. Serve!